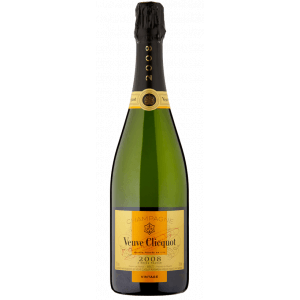 Veuve Clicquot elaborates this Veuve Clicquot Vintage Brut 2008 (£43.03), a sparkling wine from Champagne that is based on 2008 pinot noir, pinot meunier and chardonnay and has an alcohol content of 12%. 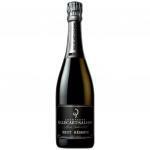 Uvinum users rate this sparkling wine with 4 out of 5 points and in guides it has been reviewed: robert parker: 92. 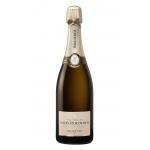 - Nose: aromas of citrus (lemon), dried fruits (apricots), stone fruit (peach, apricot) and pastry notes of almond and warm pastry. - Palate: attack, bright and pure. Powerful mouth, structured. Mineral, fruity, slightly candied citrus (lemon), grilled notes. 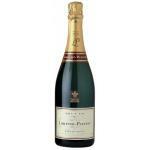 - Sourced from twenty vineyards, all Grand and Premier Cru, this is a stunningly good wine. 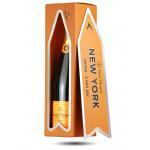 Typical opacity of a Veuve Clicquot. 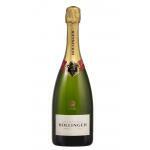 The final reminded me of bakery flavours.I noticed a kind of salty aftertaste in the finish. Should absolutely be paired with fish. 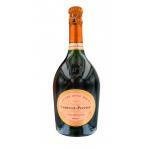 With my friends we always order Veuve Clicquot Ponsardin Brut Vintage. It has a dense colour. Aromas of yeast.It tasted like a mouth-watering candy. I drank this 2008 with my co-workers. with a pleasant colour. Smells of yeast and bakery. This 55 was very dense. 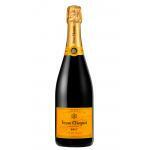 This wine from Veuve Clicquot goes well with any meal, to cap it off. 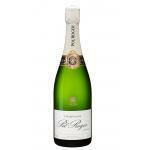 A sparkling to drink with that special person. Deep colour at first sight. 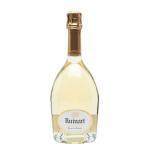 Good yeast aromas enhance a wine's bouquet. Fleshy. Chocolate coulant taste. I drank before eating, with starters and snacks. 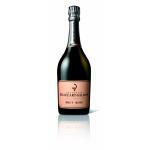 It's a sparkling I like to drink when I'm alone. Nice colour. Mixed aromas of yeast and bakery. I found it quite light. 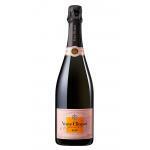 If you want to buy Veuve Clicquot Vintage Brut 2008, at Uvinum you will find the best prices for Champagne. Buy it at Uvinum at the best price, very easy and comfortable via any device. 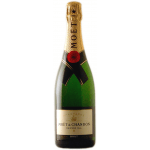 We offer more than 59.000 products for sale which turns us into the leading marketplace in selling wine, beer, and spirits in Europe with more than 38.000 customers trusting us.